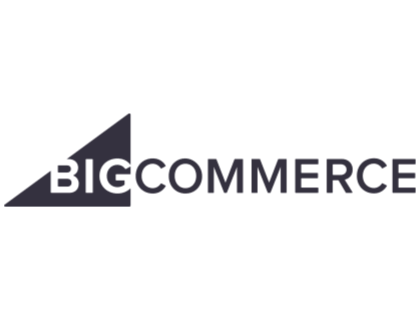 Learn more about BigCommerce - a leading eCommerce platform for merchants. Includes info on BigCommerce themes, pricing, and BigCommerce mobile. BigCommerce is one of the world's leading cloud-based e-commerce platforms for small-medium size businesses. It enables you to grow online sales at a fraction of the cost of on-premise software. Pros: Templates, custom layouts, app integration, great customer service. Cons: No user-generated content feature, limited themes. Bottomline: Good e-commerce platform to help small business owners with online sales and order management. What is the price range for BigCommerce? BigCommerce pricing ranges from $29.95 to $249.95 per month depending on the size of your business. BigCommerce is a cloud-based eCommerce solution for businesses of all sizes. It powers thousands of small-medium size businesses and leading brands around the world. BigCommerce allows you to build an attractive online store, list your products on sites like Amazon and eBay, and scale your business with no hosting or maintenance expenses that come with on-premise software. Where can I find BigCommerce themes? You can find a wide range of free and paid BigCommerce themes on the BigCommerce theme store. 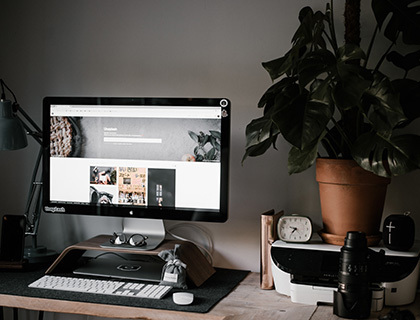 Themes can be filtered by industry, collection size, and layout and all BigCommerce templates are responsive, simple to use, and ready for you to add your branding and products. Where can I find the BigCommerce mobile login page? Go to login.bigcommerce.com to log in to your BigCommerce store. Shopify pricing ranges from $9.00 to $299.00 per month for up to 15 users. Both platforms allow you to build beautiful online stores and offer a range of features, apps, and 3rd-party integrations. That being said, BigCommerce offers unlimited staff accounts and does not charge transaction fees. What third-party integrations does the BigCommerce app store offer? BigCommerce syncs with a wide range of free and paid apps no matter which industry you're in. Popular apps include MailChimp, ShipperHQ, Inventory Source, and BigCommerce Quickbooks integration. BigCommerce is compatible with iPhone and Android. BigCommerce partners with some of the best designers, developers, and marketers in the world to help businesses build successful online stores. Go to www.bigcommerce.com/partners/ to find a directory of BigCommerce SEO experts and partners. Where can I read articles about BigCommerce website design? On the BigCommerce website, select "Features" followed by "Design Your Store" to access the BigCommerce knowledge base. Here you will find a wide range of articles on launching and customizing your online store. Is there a BigCommerce API? For those who want to become a BigCommerce developer, go to developer.bigcommerce.com/api/ to find BigCommerce API documentation. Where can I find my BigCommerce login page? On the BigCommerce webpage, click "Log In" in the top right corner or sign in directly at login.bigcommerce.com/login. How do I get in touch with BigCommerce support? Go to support.bigcommerce.com to access all BigCommerce guides and documentation. You can also ask a question 24/7 via the Bigcommerce forum. If you prefer to speak to a BigCommerce customer service representative, call 1 (888) 699-8911 (US and Canada), submit a case, or start a live chat online. What are some BigCommerce alternatives? I am satisfied with BigCommerce. I cannot say that it's my recommendation. I'm a chef, not an egghead and it's working well for our needs. I don't have any experience to compare it to other platforms. Phenomenal. We have been using it for almost a year now. It comes with way more features out of the box. We cut our app spend by a lot just by switching from Shopify. My one beef with it is that it doesn’t have a built in feature (or app) that allows you to add user generated content to the site. We would love a chat forum where our customers could post content, but there isn’t anything that we could find that could just be installed. It seems like the only option is a custom built solution. Wordpress/woocommerce is a better CMS IMO. Still sticking with Bigcommerce. Better all around platform. I signed up for Bigcommerce 8 months ago. In around August they made the insights feature "available" for everyone. What this was supposed to do was mislead everyone to think that the feature was free but in the end we got charged 50$ a month for 4 months even after cancelling it.To activate it all you had to do was accidentally click the insights tab right above the tab where you see your visitors. It was activated with a click and boom a monthly charge of $50 was added to my account. Fast forward 2 months until I finally noticed it on my credit card bill that this piece of ! @#$ company has been charging me 50$ for 2 months. Asked them to cancel Insights which they told me they did. HOWEVER on November they continued to charge me again for the useless service until TODAY I find out about it. Now I am out $200 that I will likely never get refunded for. Asked for a refund and the guy "opened a case" and STILL HAVE NOT HEARD BACK. Don't go with this POS company that steals from their own customers behind their backs. Been a customer for 8-9 years. I’ve always been happy. Customer service is unbeatable.